Let’s Get Cynical: “Stuff that already came out this year” roundup. In which I break my current run of not actually talking about any records that came out this year. You know when a record has an opening track so staggeringly good that you almost feel like ignoring the rest of the album and listening to it on repeat? 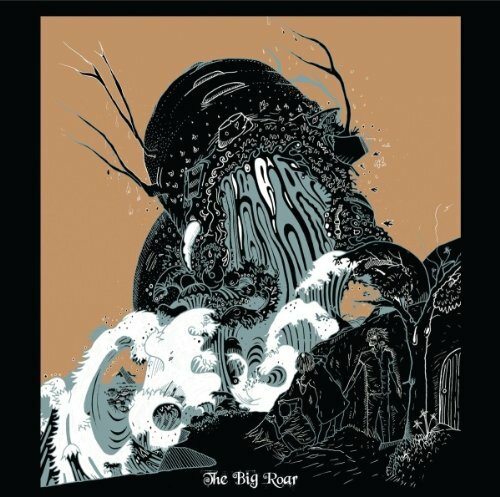 The Big Roar is one of those records – opener ‘The Everchanging Spectrum Of A Lie’ swells up gracefully before exploding into a glorious mix of crashing drums and mammoth guitars that’ll leave you wanting more. But if you get distracted long enough to listen to the rest of the record, you’ll find that there are plenty of similar treats in store – the hectic rush of ‘The Magnifying Glass’ and the infectious, euphoric ‘I Don’t Want To See You Like This’ are only the start of a record that barely lets up until ‘The Greatest Light Is The Greatest Shade’ ends proceedings in a stately squall. Sure, they’ve recycled four songs from 2009’s mini-album A Balloon Called Moaning – but hey, if you had tracks as good as ‘Austere’ and ‘Cradle’ in your arsenal, wouldn’t you want them on your debut album proper? It’s been a long time coming, but The Joy Formidable’s debut has been worth the wait. 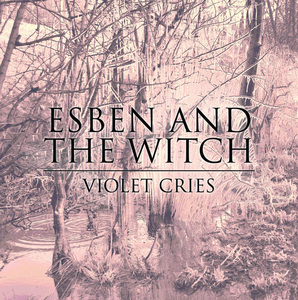 Esben And The Witch’s dark and twisted music isn’t for the faint of heart, but take the plunge and you’ll find that Violet Cries is an atmospheric and immersive experience. Album-opener ‘Argyria’ builds ominously into a sonic battering-ram of guitars and eerie, wailing cries – but then suddenly everything goes quiet, and the focus switches to vocalist Rachel Davies’ cryptic, sinister tale of “strange metallic voices”. It’s indicative of the record’s constantly evolving soundscape – ‘Marching Song’ beats a relentless, foreboding path to the violent squall of guitars at its conclusion, while ‘Marine Fields Glow’ serves up a complete contrast with long, echoing guitar notes and lamenting, regretful vocals. It’s a credit to the band that, despite these contrasting ideas, the album works fantastically as a cohesive whole – because of the effortless transitions between tracks, ‘Chorea’s skittering drums and oppressive, paranoid feel can sit perfectly alongside the contemplative, expansive-sounding ‘Warpath’. By the time Violet Cries reaches it’s zenith with the stunning twists and turns of ‘Eumenides’, there can be no doubt that Esben And The Witch have produced one of this year’s best debut records. 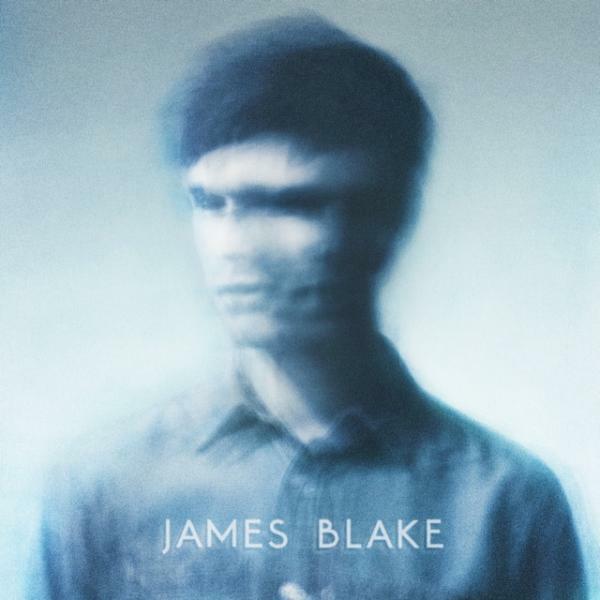 When I first listened to James Blake’s self-titled album, I have to admit that I wasn’t really feeling it. But sometimes a record only clicks when you revisit it at a different time, or in a different situation. For me, the stark minimalism of James Blake made so much more sense when I decided to listen to it after a long night of monotonous drum ‘n’ bass at work – however, I still have my reservations about it. There isn’t really another immediately accessible track in the vein of ‘Limit To Your Love’ here – which isn’t an indictment in itself, but the record veers across the line between coherent songs and vague sonic experimentation a little more often than I’d like. This comes to a head on ‘Lindisfarne I’, which takes minimalism close to its absolute limit, but loses all sense of purpose in the process – even the contrast when ‘Lindisfarne II’ kicks in doesn’t feel like enough of a payoff. At its best though, the record is sublime – ‘The Wilhelm Scream’ is simply jaw-dropping, ‘I Never Learned To Share’ builds up slowly to a satisfying conclusion, and of course there’s the aforementioned ‘Limit To Your Love’. For me, James Blake isn’t quite the earth-shattering debut some have made it out to be, but not for a lack of trying – and it has enough great moments to indicate a promising future. 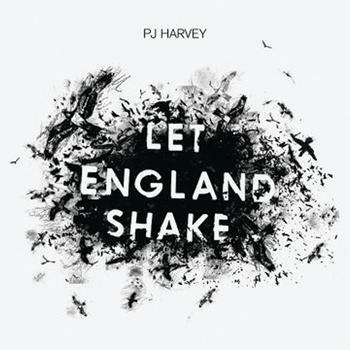 You don’t have to be familiar with the entirety of PJ Harvey’s 20-year career to know that she’s not exactly prone to sitting on her laurels, but Let England Shake is arguably her most ambitious work yet – it tackles the weighty subject of war. Dangerous territory, even for an artist as formidable as Harvey, but the good news is she absolutely makes the subject matter work. The key is that she doesn’t adopt a preaching or political tone, instead taking on the voice of an observer or narrator – seeking not to judge, but to inform. The First World War in particular features heavily, but much of the record’s sentiment is applicable to more recent conflicts too. Harvey’s lyrics are mostly delivered in the same piercing high register that she used to such good effect on White Chalk, and it makes for pretty disarming listening – and the effect is heightened further on jauntier-sounding tracks such as ‘Let England Shake’ and ‘The Words That Maketh Murder’. I could simply fill the remainder of this page with thought-provoking and evocative lyrics from this record, but why not discover them for yourself? After all, the stirring music that accompanies Harvey’s words is an integral, perfectly complimentary part of the album – together, they make Let England Shake one of her finest works to date. Marck ‘Marbled‘ Whiley is a York-based singer-songwriter who has been a regular fixture on the city’s acoustic scene for a while now. However, York is a city that certainly doesn’t seem to be in short supply of guitar-toting troubadours, meaning it can be difficult to stand out from the rest. In that sense, Marbled certainly has at least one thing going for him – a characteristic voice that I find difficult to pin down (but I’ll try). It’s a voice that exists somewhere in the space where fey and muscular collide – never having to strain for the high notes, but never lacking weight or gravitas either. 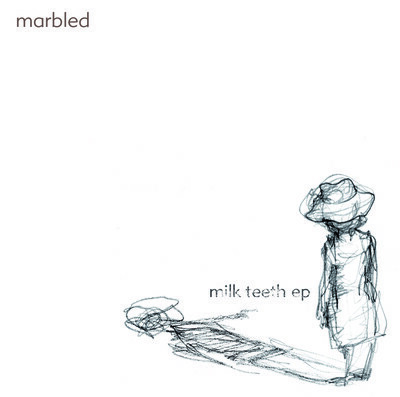 The Milk Teeth EP and the Rodeo Falls EP are the first two in a series of EP releases from Marbled, and feature the sort of guitar-based songs he regularly plays in a live setting. The Milk Teeth EP contains four mellow, acoustic tracks, while the Rodeo Falls EP has a rough-and ready, skiffle-punk feel to it – together, they serve as a good introduction to his music. The Milk Teeth EP demonstrates Marbled’s knack for interesting, fingerpicked guitar lines admirably, and his playing sounds effortless throughout. But he also seems to recognise that it takes a little something extra for a song to really stand out – and so, there are subtle, extra layers that add depth to each track. ‘I Make My Home(work)’ compliments its guitar riff with sparsely played piano, while ‘The Robin’ is laced with bursts of mournful guitar feedback fading in and out, adding a darker contrast to the upbeat feel of Marbled’s acoustic fingerpicking. ‘Milk Tooth Years’, on the other hand, mixes things up with multi-layered vocals and some tasteful percussion in the latter third or the track. Rounding off the EP is ‘A Pony That…’, a stripped down re-working of a track Marbled previously recorded as part of (sadly short-lived) York band The Alpha Waves. It’s a poignant tale of pining for a lost love on Valentine’s Day (that loneliest of days for single people), and there’s something about the sparse arrangement that lends the song more emotional weight – crucially, it manages to come across as heartfelt without crossing the line into mawkishness. There’s no need for any extra instrumentation here either, as Marbled delivers a captivating performance with just his voice and his guitar. In complete contrast, the Rodeo Falls EP kicks off with a southern-fried guitar twang and the words “If you ain’t broke a sweat then you ain’t trying hard enough” – both of which seem indicative of the record’s raison d’être. And opening track ‘Butcher’s Dog’ starts as it means to go on, with Marbled’s half-sung, half-sneered vocal backed by cowboy yelps and the military battering of a snare drum. ‘Insomnia’ is a little softer in nature but no less energetic, and serves as a rallying cry for the sleepless – “Insomniacs, let’s take over the world/why wait until tomorrow?” Indeed, both these tracks are so full of energy that it occasionally seems as if the instruments are tripping over each other in an attempt to keep up the pace – almost to the point of seeming slipshod in a couple of places, but given the spontaneous feel of the tracks it’s certainly forgivable. ‘Music Of Chance’ starts well enough with a pleasant guitar riff and quiet drums that are reminiscent of a distant train in motion, but is let down a little by persistent, jarring handclaps that should be a background element, but end up being a distraction from the rest of the song. It’s a shame, as if they weren’t quite so loud in the mix (or were just removed entirely) it’d be a perfectly decent tune. After that slight disappointment, the EP’s final track, ‘Bad Bones’, seems to nail the feel that Marbled has been striving for throughout – it sees him really push his vocals into a menacing growl, backed by moody guitar flourishes and the tense rush of snare drums. “Run rabbit run into the sun/don’t turn around ’til you’ve passed everyone,” he threatens, before giving his quarry another chance – “I’m gonna let you get away.” However, by the end of the song, whatever his prey has done is no longer forgivable, and the EP ends with a satisfying howl of “no you’re not getting away!” It’s definitely the standout track on the EP and a fine way to round off the proceedings. Overall, as I said earlier, these two EPs are a good introduction to Marbled’s music. The Milk Teeth EP is the stronger and more consistent of the two, but the Rodeo Falls EP is still worth checking out for its energetic approach and the fantastic ‘Bad Bones’. It seems these first two EPs in the series serve to chronicle Marbled’s past and present musical endeavours – and if they’re anything to go by, his future work should be pretty interesting. Find more of Marbled’s music on his website.